Although it remains above a rising 20sma, it no longer enjoys the advantage of trading beyond an upper Bollinger, implying little buying interest. 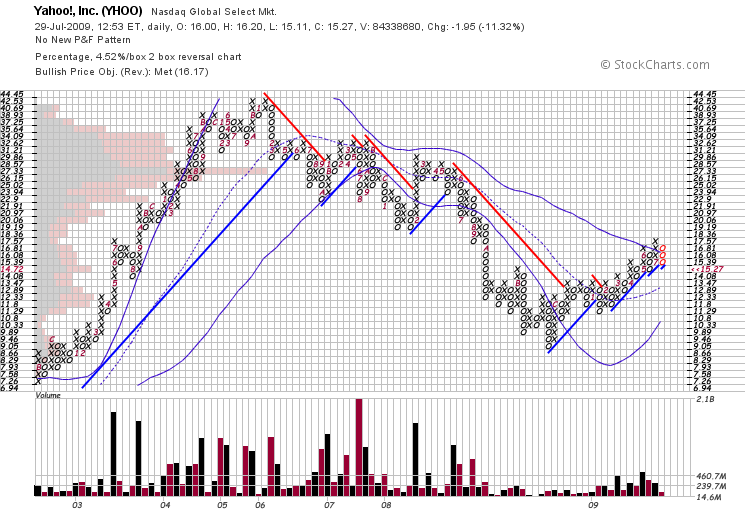 A break below 14.08 could seal YHOO’s fate as it would indicate a new primary downtrend. YHOO has to break 18.36 to prove there is upward momentum, but there is no telling when such a move will happen, so I remain neutral on this stock. The broad market continues to digest recent gains, so stay patient, don’t over trade, and take the kids to the beach.